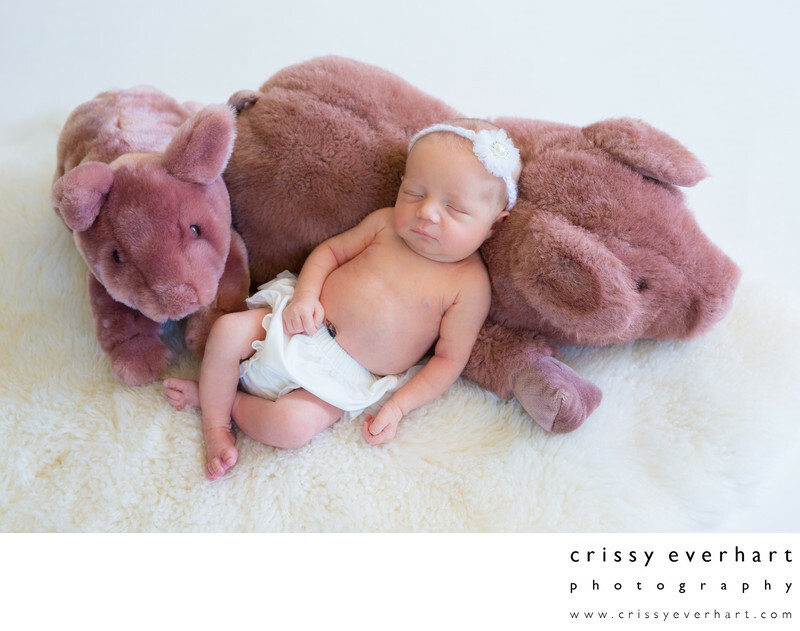 This newborn baby girl is only one week old, and was one of the easiest, sleepiest babies I have ever photographed. Here she wears a white ruffled diaper cover and white bow that I keep at the studio, and is sleeping on her mommy's stuffed pig. Her mom had her stuffed pig ever since she was a little girl, and bought her daughter her own stuffed piggy, seen on the left. I love incorporating family heirlooms or personal items into portraits, it makes them much more unique and meaningful!